March 23, 2016 - The International Civil Aviation Organization (ICAO) launched a series of regional outreach and education sessions as negotiations continue towards the adoption of a global climate agreement for air transport. The regional events, under the title global aviation dialogues (GLADs), are a key part of the agency’s work in the lead up to the ICAO Assembly in September. 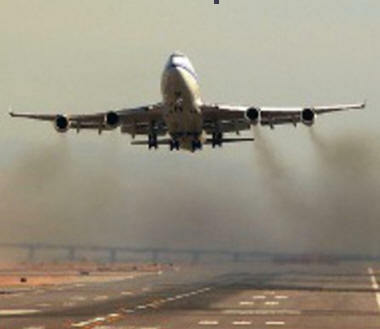 “The development of a global carbon offsetting scheme for aviation is crucial if aviation is to meet its climate obligations, whilst also continuing to meet the economic and connectivity growth desired by many countries around the world. The successful Paris Agreement on climate change provided positive momentum for discussions at ICAO, which already has its own mandate and well-established program for addressing aviation and climate change.” The GLADs continue what has been over two years of intense discussions, with negotiators trying to find the balance between environmental and political acceptability. “This is the first time any sector has attempted a global market-based measure and the industry firmly supports the ICAO discussions. We urge all governments to come together, find solutions to the remaining negotiating points and look forward to a positive outcome at the ICAO Assembly in September. A global carbon offsetting scheme is a key element of a comprehensive package of measures to address aviation’s climate impact.” Ahead of the GLADs, the ICAO Secretariat published a draft proposal for the design of a global market-based measure. “In the meantime, the industry is continuing the significant work already underway to reduce aviation’s carbon dioxide emissions and to meet our industry goals, as demonstrated in ATAG’s Aviation Climate Solutions report released in September last year. We are already exceeding the short-term efficiency goal, whilst putting in place the technology and alternative fuels strategy to achieve our long-term goal to halve industry CO2 emissions by 2050. The mid-term goal, for carbon-neutral growth from 2020, requires the global carbon offsetting scheme to be developed at ICAO and the whole industry is firmly pushing for that outcome – as evidenced by the industry’s recent open letter to governments.” The air transport industry will be urging governments to secure the agreement in September, through a series of industry events, the global aviation dialogues and at the official negotiating sessions.